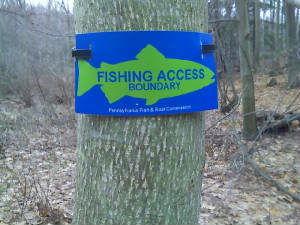 On June 13, 2012, the PA Steelhead Assoc. welcomed Jane Menchyk from the Western PA Conservancy and Dave Skellie from PA Sea Grant/PA Fish and Boat Commission/Lake Erie Region Conservancy as our guest speakers. Jane and Dave have worked on several land conservation projects (purchases and donations) in the Erie area. They shared their experiences and discussed the importance of strong local partnerships in their pursuit of protecting land for multiple conservation usages. Dave and Jane discussed voluntary conservation opportunities and programs for landowners including the tax benefits associated with donated conservation easements. We all have a vested interest in the preservation of these special places for current and future generations to have the opportunity to enjoy.